I’ve worked for Dr. Hissong since 2006, and I love it here. We work as a team and get along well. We are completely electronic and have office meetings bi-monthly to keep us educated, organized, and progressing. Without change, there’s no progress. We are always working to develop new programs that will benefit our patients. We are always learning! I planned a career in Nursing Home Administration to improve the care and lives of seniors, but quit school when my husband died, and my 3 children and I moved from western Michigan to metro Detroit to be near our relatives. I worked in many cities in Michigan and Ohio for a large retail chain, from which I am now retired. I did a lot of volunteering at the hospital, nursing home, group home, and Hospice. It was a huge surprise and very exciting in 1991, when I was given the Florence Fowler Community Services Award along with $1000 to donate to the charity of my choice. I plan to work for Dr. Hissong for many years, but when I totally retire, I’ll resume my volunteer work. I’ve just realized the last few years that no matter what field I work in, it’s all about helping people and giving the best service. Hot air ballooning is the scariest thing I’ve ever done (and I loved it), and vacationing on the new largest cruise ship in the world, is the most fun I’ve ever had. These days for fun, I spend time with my husband, our 2 little dogs, our grown children, grand-children, great-grand-son, and friends. I began working for Dr. Hissong over 25 years ago. Initially, I worked part-time while I received my BA in Education from Wayne State University. With the onset of computers and electronic medical billing, the job developed into a full-time position as the office manager. I have always enjoyed working with the patients whether it is in the room preparing them for an exam or working to get their insurance companies to cover the services. A favorite part of my job is initiating new procedures for our office and using new technologies. 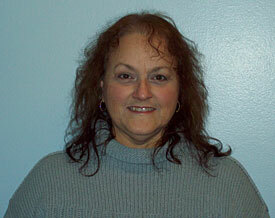 I also enjoy medical coding and keeping up with the continuing changes that occur in medical billing. For many years, I was involved in a figure skating club and I still remain active in a Polish folk dancing organization. Those activities have taken me to many countries around the world. I love to travel, spend time with my family, play piano, do home improvements and crafts. I worked in Chicago for seven years with mentally handicapped patients. For 6 years I was a stay-at-home mom, volunteering at our kid’s school and babysitting at home. I became a certified medical assistant in 2001 thru the Garden City schools and began working for Dr. Hissong. 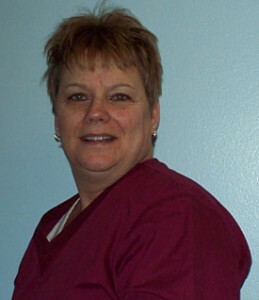 My many years working for her as her medical assistant have been very rewarding. Since 2002 I have also been doing the hospital billing for the doctor. My relationship with the doctor, Sherry and Carol along with the patients makes my job feel like family. Time away from the office is spent with my husband, Jeff, in Garden City and at our cottage in Gladwin with my family and friends. I also enjoy doing yoga and cardio-drumming.